Hey Everyone and Happy Friday!! 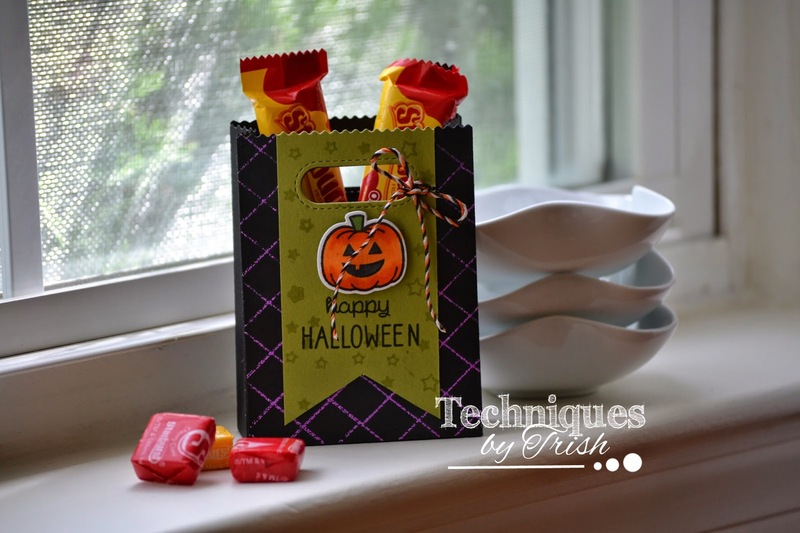 Today I'm joining in on the challenge over at the Paper Smooches Sparks Challenge Blog. The challenge for this week is of course my favorite, Anything Goes!! 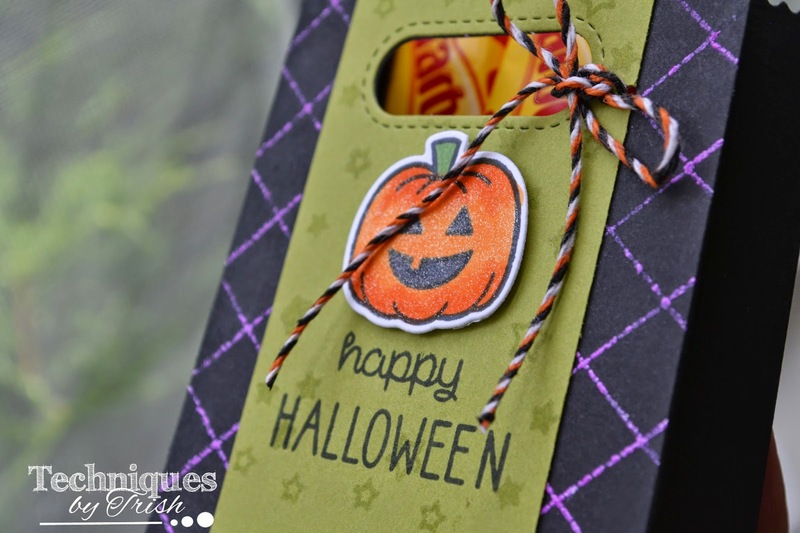 And of course I was wanting to create more fall/halloween cards so I pulled out some more of the new to me stamp sets from Paper Smooches. 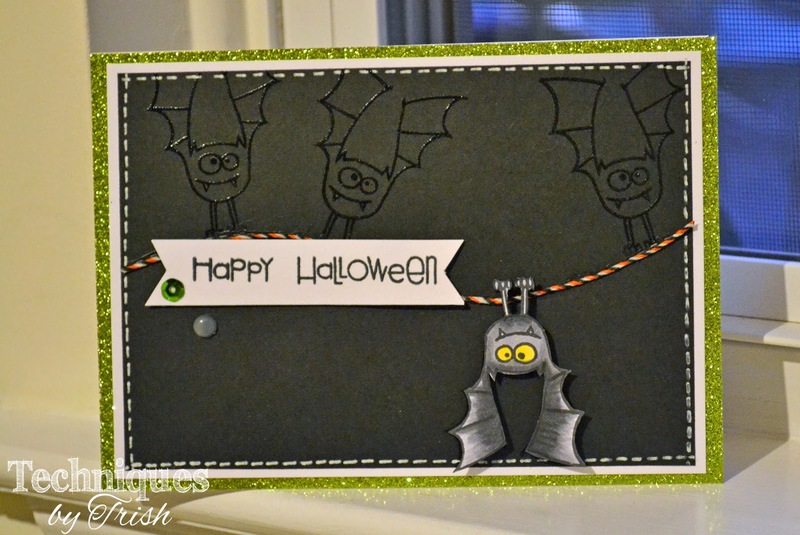 This card is featuring the Paper Smooches Halloweenie Stamp Set and Die. I decided that I wanted to create a wreath with these pumpkins! They are just so cute and silly looking. You can check out how I created this card in the video below. Hope you guys enjoyed this card and I'll be back soon with another project! Hello Everyone!! Don't you just love when the internet eats your 'homework'?? Sigh...I had my post scheduled and ready to be published on Tuesday but all of a sudden it just up and disappeared. I just noticed this am when checking my blog. I apologize for that! For this weeks challenge, its a Color Challenge of Brown and Orange! I love these challenges because they at times make you get out of your comfort zone. I'm also show casing a brand NEW stamp set that will be revealed tomorrow!! Its a super super sneak peak! 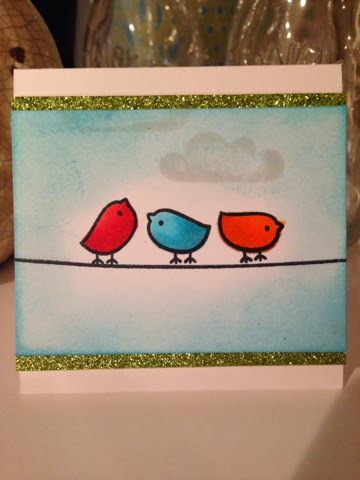 Enjoy chit chat from me, hope you guys enjoy the card and I'll see you back here tomorrow for the new release from Scrappy Mom Stamps! Hey Everyone!! Hope you guys are having an awesome week. On Saturday, I had a project featured over on the Butterfly Reflections, Ink Blog and I just loved it! I got caught up in work that I totally forgot to post it here....so here it is! This past week my daughter switched classrooms and teachers at her daycare. 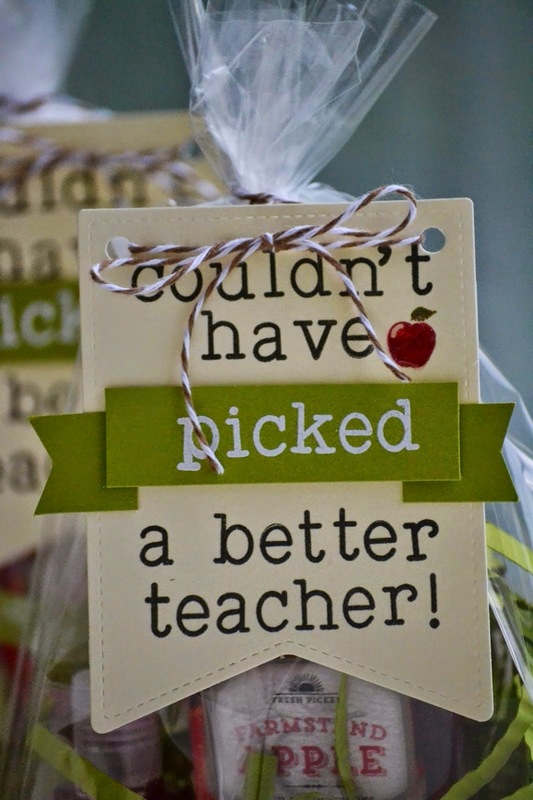 I wanted to give the teachers from her previous class a little thank you gift for how much they have helped my daughter over the summer with just opening up and interacting. 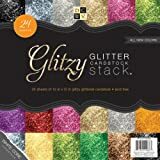 When I needed some inspiration for my project, I headed on over to non other than Pinterest :) And I found this adorable project and decided to put my own spin on my project. 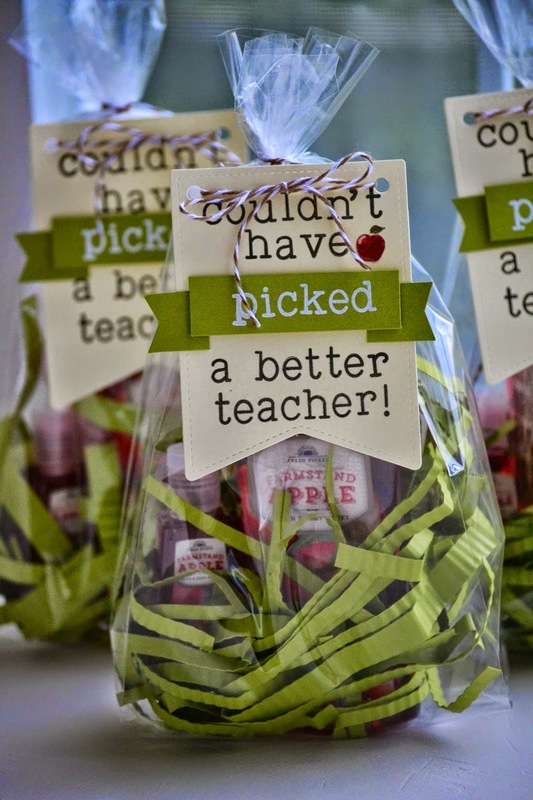 Onto my project, I created some super cute tags to go along with the goodies that I got for the teachers. 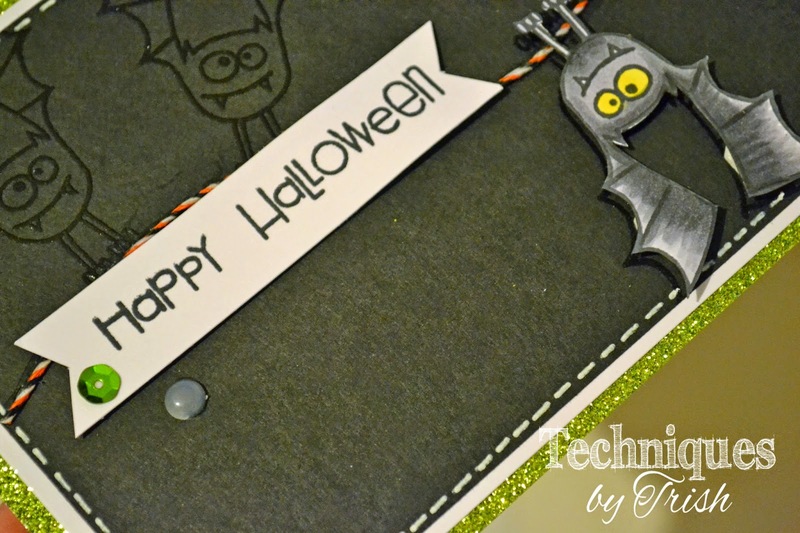 For the tags, I've used the Lawn Fawn Stitched Party Banner Dies and Lawn Fawn's Clarks ABCs Stamp Set. 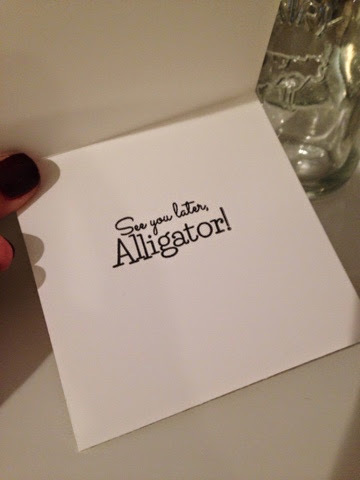 To create my embossed wording, I'm using Versamark Ink and some Ranger Super Fine White Embossing Powder. 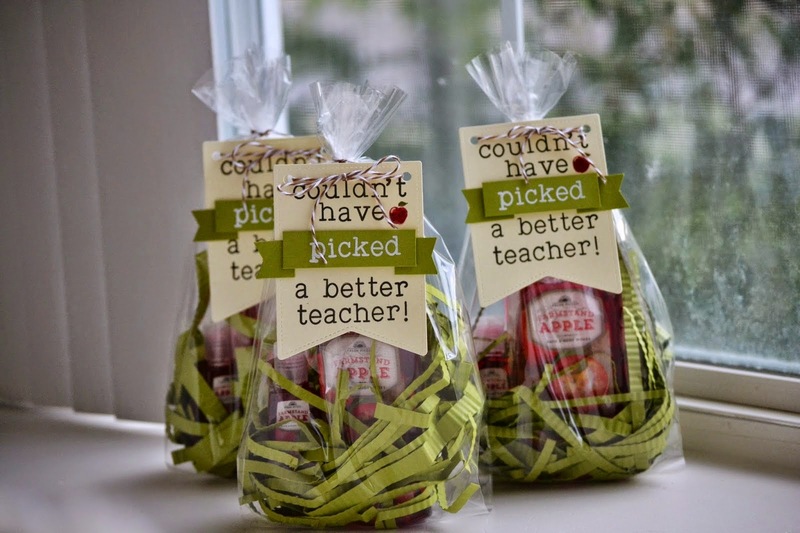 And now onto my video showcasing how I created these thank you teachers gifts. Hope you guys enjoyed this project and it gives you some ideas for any future teachers gifts you may need to create!